Craving a getaway? Enter Omni Hotels Summer Passport Sweepstakes to win round trip airfare and a 4-day/3-night hotel accommodation for two (2) at the GHA of your choice. You can choose between London, England; Rome, Italy; Sao Paulo, Brazil; Amelia Island, Florida or Los Angeles, California. I already entered, and if I were to win, picking just one place is going to be really hard. However, I think I would start by picking London, England. I’ve never been, and like a true fashionista is a must that I visit one of the fashion capitals of the world to explore their boutiques, bars and, of course, famous landmarks. See below for a London inspired outfit and cocktails to get you in the mood for some traveling. 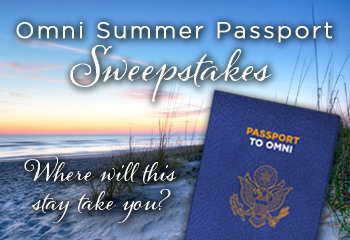 Then, be sure to go and enter the Omni Hotels Passport Sweepstakes! Where would you request to go?